KANSAS CITY � The T-Bones scored three runs in the final four innings, but it wasn�t enough in a 6-3 defeat to Joliet Wednesday night at CommunityAmerica Ballpark. Shortstop Jack Jones hit his fourth home run of the season and Chad Hill collected a pair of hits in the loss for Kansas City (15-23). KANSAS CITY � Kansas City first baseman Ray Brown drove in the first of four sixth-inning runs that snapped a 2-all tie Tuesday night in a 6-2 win over Joliet at CommunityAmerica Ballpark. Brown�s double was the first of three doubles in the inning that fueled the T-Bones� rally. With the win, Kansas City improved to 15-22 on the season. KANSAS CITY � Steve Hecker, Ben Ally, and Robert Garvin combined to throw a one-hit shut out of the T-Bones Monday night as visiting Joliet took the first game of a three-game set, 2-0, at CommunityAmerica Ballpark. Kansas City starter Jonathan Krysa (3-6) took the tough-luck loss after setting a new franchise record with 11 strikeouts in a complete-game effort. KANSAS CITY � T-Bones designated hitter Eddie Pearson was named Northern League Player of the Week, the league office announced Monday. He is the first Kansas City player to receive such honors this season. KANSAS CITY � Darin Kinsolving broke a 4-all tie with a single up the middle in the 14th inning to give visiting Sioux Falls a 5-4 win over the T-Bones Friday night at CommunityAmerica Ballpark. The 14-inning affair matched the longest game played by Kansas City (13-21) in its two year history and was the longest Northern League game of the year. KANSAS CITY � The T-Bones announced the signing of Mike Hass Friday. Hass batted .282 (22-for-78) with two home runs and 14 RBI�s in 35 games � including 18 starts � at Oregon State last year. KANSAS CITY � For the second straight night, the T-Bones rode the momentum of a big first inning en route to a 7-3 win over Sioux Falls Thursday night at CommunityAmerica Ballpark. Eddie Pearson drove in a pair of runs and starting pitcher Greg Bicknell improved to 2-0 on the year in the four-run victory. KANSAS CITY � T-Bones first baseman Ray Brown hit his league-leading ninth home run of the season to cap off a four-run first inning as Kansas City held off visiting Sioux Falls, 4-3, at Com1munityAmerica Ballpark Wednesday night. The T-Bones (12-20) pulled out the victory despite a pair of home runs by Canaries third baseman Felix Pagan. The Kansas City T-Bones (11-20) return to CommunityAmerica Ballpark to open a seven-game home stand Wednesday night. The T-Bones will begin with a four-game series against Sioux Falls (10-20) Wednesday night at 7:05 before hosting Joliet (15-16) in a three-game set starting Monday. The home stand is the longest one of the month and the fourth longest of the season. SCHAUMBURG, IL- Mario Delgado hit a solo home run to right field leading off the eleventh inning to give the Schaumburg Flyers (22-9) a 10-9 win over the Kansas City T-Bones (11-20) on Monday night at Alexian Field. Delgado slammed an 0-1 pitch from T-Bones RHP D.J. Johnson (0-2) over the outstretched arm of RF Chris LePine to give the Flyers their second �walk off� win in the eleventh in three days. C Kirk Pierce homered to left center field on the first pitch he saw from Johnson leading off the bottom of the ninth inning to tie the game at 9-9. 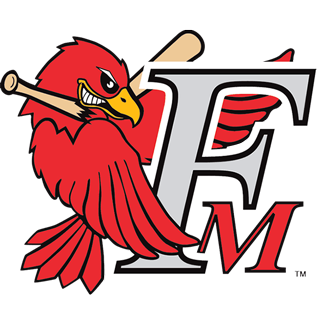 The Flyers took three out of four from Kansas City in the series and maintained their 1.5 game lead over the Lincoln Saltdogs in the Northern League South Division. KANSAS CITY � The Kansas City T-Bones have released starting pitcher Caleb Balbuena, the front office announced Monday. The 6-foot-7, right hander was 1-1 with an ERA of 4.67 in 17.1 innings for the T-Bones in 2004. SCHAUMBURG, IL- The Schaumburg Flyers (21-9) were held in check by Jon McDonald and the Kansas City T-Bones (11-19) on Sunday afternoon at Alexian Field as the Flyers fell 10-3. McDonald (3-2) went the distance for the T-Bones, giving up three runs and seven hits. The Lincoln Saltdogs can move to within a game and a half of the Flyers in the Northern League South Division with a win at home on Sunday night. SCHAUMBURG, IL- The Schaumburg Flyers defeated the Kansas City T-Bones in dramatic fashion on Saturday, June 19, prevailing 7-4 in 11 innings on a two-out, three run 'walk off' home run by Flyers 2B Wandel Campana. SCHAUMBURG, IL- The Schaumburg Flyers (20-8) took the series opener from the Kansas City T-Bones (10-18) 6-2 on Friday at Alexian Field behind another strong start from LHP Anthony Boughner (5-1). He went eight innings and gave up two runs on six hits while striking out seven T-Bones hitters and walking none. The earned run Boughner gave up in the fourth inning was his first earned run allowed since June 2 in Joliet. He pitched 19.1 consecutive innings without an earned run during that stretch. KANSAS CITY � The Goldeyes banged out 14 hits and swiped six bases in a 9-2 victory over the T-Bones Thursday afternoon. The game was played in front of 6,005 fans � including more than 2,500 local youths � as part of Camp Day at CommunityAmerica Ballpark. KANSAS CITY � Winnipeg�s Pat Scalabrini scored the decisive run on a passed ball in the top of the ninth as the Goldeyes squeaked by the T-Bones, 6-5, Wednesday night at CommunityAmerica Ballpark. The defeat snapped Kansas City�s season-high, five-game winning streak. 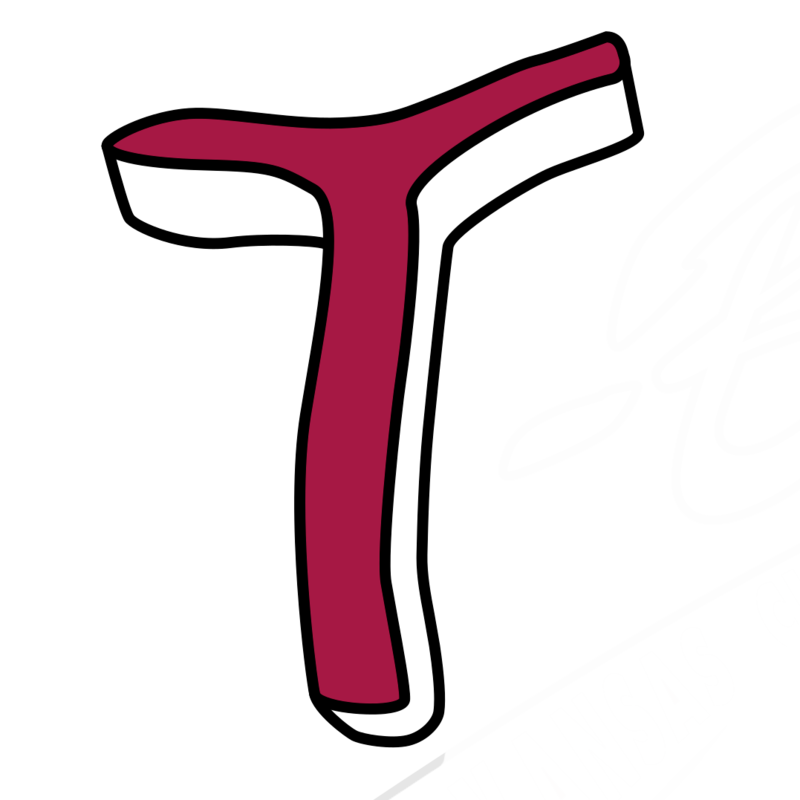 KANSAS CITY � The Kansas City T-Bones of the Northern League signed reliever Rob Read Wednesday, team manager Al Gallagher announced. Read, who played college ball at Florida State, was a seventh-round draft choice of the Philadelphia Phillies in 2002. KANSAS CITY � The T-Bones took advantage of four early Winnipeg errors to establish a lead before pouring it on late en route to a 9-2 blowout of Winnipeg Tuesday night in front of 4,758 at CommunityAmerica Ballpark. It was the fifth consecutive victory for Kansas City, which improved to 10-15 on the season. GARY � Jonathan Krysa pitched a complete-game, three-hit shutout and the Kansas City T-Bones supported their starter with 13 hits in a 7-0 rout of the Gary SouthShore RailCats at U. S. Steel Yard, the RailCats 13th consecutive defeat. GARY � The Northern League baseball game between the Gary SouthShore RailCats and the Kansas City T-Bones at U. S. Steel Yard was suspended by rain in the bottom of the fourth inning, with the RailCats trailing 4-0. Got a dirty car? The Kansas City T-Bones Spirit Dance Team, brought to you by Kansas City Dance Expressions, will be hosting a car wash at K-7 and Santa Fe in Olathe, KS, this Saturday from 12:30-3:00. Call 913-328-BALL for more information! JOLIET, IL � The Joliet JacklHammers (8-10) defeated the Kansas City T-Bones (5-14) 7-to-3 in front of 3,436 on Tuesday night at Silver Cross Field. The JackHammers have won three straight while the T-Bones have lost three straight. The JackHammers have cranked out 41 runs on 56 hits in their last four games. The JackHammers are vying for a four-game sweep in a Wednesday afternoon game at Silver Cross Field. JOLIET, IL � The Joliet JackHammers (7-10) defeated the Kansas City T-Bones (5-13) 11-to-4 in front of 3,128 on Monday night at Silver Cross Field. The JackHammers have pounded out 34 runs on 44 hits in their last three games. The JackHammers are 2-and-0 versus the T-Bones through the first two games of this four-game series, and they are 5-and-4 versus the T-Bones in the all-time series. The JackHammers are 3-and-3 through six games of this eight-game home stand. This win was the 100th in JackHammers history. JOLIET, IL � The Joliet JackHammers (6-10) defeated the Kansas City T-Bones (5-12) 11-to-6 in front of 4.285 fans on Sunday evening at Silver Cross Field. The JackHammers ended their three-game losing streak. Through five games of this eight-game home stand, the JackHammers are 2-and-3. The JackHammers cranked out a season-high of 18 hits including the tying of a team record with seven doubles. Behind a complete game two-hitter from lefty Kenny Holubek and a seven-RBI performance from Adam Olow, the St. Paul Saints defeated the Kansas City T-Bones 16-0 in front of 5,408 at CommunityAmerica Ballpark in Kansas City, KS. Check out the new features on our Web site! The St. Paul Saints used their 21 hits to score 10 runs, and that was enough to beat the Kansas City T-Bones 10-7 at CommunityAmerica Ballpark in Kansas City, KS, in front of 4,518. In front of 3,018 at CommunityAmerica Ballpark, the Kansas City T-Bones took a 3-0 lead against St. Paul through four innings. But the T-Bones allowed three runs in the top of the ninth and lost 6-4.